About Nick: Originally from Trenton, Michigan, I moved to St. Joseph, to begin my career at Whirlpool Corporation as an engineer. Some additional hobbies outside of coaching and enjoying the Crossfit community are renovations on my house and hanging out with my dog, Buddy. I also play ice hockey during the winter seasons as another form of fitness and competitiveness. 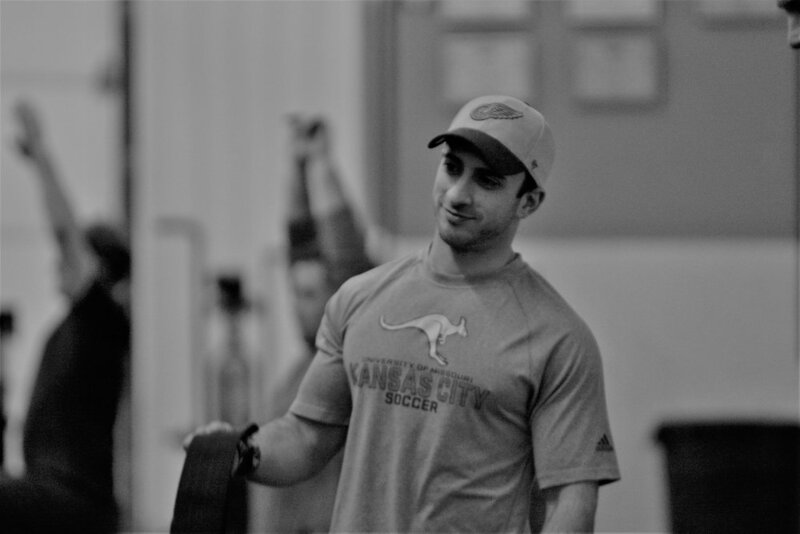 How you started at CrossFit Tides and what made you transition into coaching: I originally started Crossfit in 2013 when I lived in Ohio for work. As my interest grew, I realized I wanted to help people in their fitness journey so I decided to become a Crossfit Level 1 Coach at Crossfit Tides. I also obtained a CF gymnastics certification to help educate athletes of body awareness. My favorite part of being a coach is...observing athletes at Crossfit Tides perform activities they have never thought they were capable of doing. Favorite WOD: Basically anything that is 21-15-9 or a For Time workout that includes snatches and a form of gymnastics. Go-to Healthy snack: Fruit, either banana or pear. Cheat day favorite: Pasta or cereal. If I am not at CFT you can find me: outside doing yardwork, beach, work, or a brewery.